Employing an innovative, expert approach. From natural fibres to metallic wire. A colour range for every design and style. Providing the highest industry standards. From defence and aviation, leisure and furnishing. Supplying flexible range of low to high volume. With over 200+ years of experience in webbing design & manufacture, we can provide narrow textile to your requirements. Specialists in traditional webbing manufacture but experienced in today’s techniques, as an AS9100 approved organisation we provide webbing to the highest industry standards. Tape sizes vary from 6mm to webbing up to 320mm (12.6″) in width. Materials employed vary from natural fibres (cotton, wool, etc.) to polymeric fibres (polyester, polyamide, UHMWP, aramid, polyethylene, etc.) 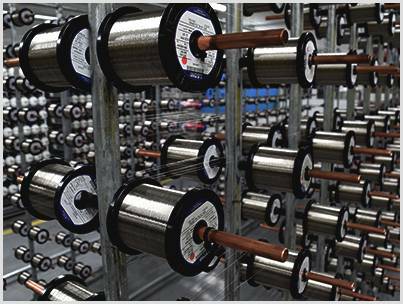 and metallic wire – with finishing to suit your needs; from dying, impregnation and flame retardant to colour fastness, rot-proof and anti-bacterial. Here to support your requirements, contact Laura Gray for our full capability, to discuss your requirements, to get a quotation.